the Maryland Clean Energy Jobs Act? The proposed Maryland Clean Energy Jobs Act (MCEJA) of 2019 expands the current RPS from 25% by 2020 to 50% by 2030. MCEJA expands the solar carve-out to 14.5% by 2028, a significant boost to Maryland’s in-state solar industry vs. the current 2.5% solar carve-out. It also helps provide long-term stability to Maryland’s SREC market by significantly increasing its size and depth, which helps reduce volatility and ensure a decade of in-state economic growth. MCEJA also helps clean up the electricity we currently import from out-of-state and helps lay the foundation for Maryland to become a major player in offshore wind operations and fabrication. The majority of additional renewable energy demand under MCEJA will be met by in-state renewable resources, meaning more of jobs, wages, and tax dollars going directly to the benefit of Marylanders. MCEJA also significantly lowers the cost caps, or Alternative Compliance Payments (ACPs), for both solar and Tier 1 resources over time. ACPs represent a price cap that limits the potential cost of RPS compliance, and lowering those caps helps protect rate-payers from increased energy costs. MCEJA also directs millions of dollars to workforce development programs including upgrading technical high schools and investing in economically distressed regions of the State through EARN grants to programs such as Civic Works and Power 52 which targets underemployed, unemployed, and returning citizens..
During the 2018 session the Maryland Department of Legislative Services determined that the Maryland Clean Energy Jobs Act would cost the average Maryland rate-payer between $1.40 and $1.85 per month, a sum that is significantly less than just the direct wages that would be paid to Maryland workers in constructing renewable energy projects over that same time period. In fact, analysis by the Maryland Power Plant Research Program, or “PPRP”, indicated that the in-State solar additions called for in MCEJA would contribute hundreds of millions of dollars in annual economic benefits to the State, a sum that far exceeds the small cost to ratepayers. And a 2018 study commissioned for the Maryland Public Services Commission found that the economic benefits of solar power to the state are several times that of the cost of solar power. MCEJA thus represents an excellent investment in the State’s economy. A broad coalition is continuing to push for the MCEJA’s passage in the 2019 legislative session. In 2018, the Maryland Clean Energy Jobs Act was co-sponsored by a majority of Maryland’s State Senators and Delegates, and a super-majority of the Maryland General Assembly has pledged to support MCEJA in the 2019 legislative session. Unlike other efforts to significantly increase Maryland’s share of renewable energy, the Maryland Clean Energy Jobs Act has broad support from all segments of the renewables industry, including wind and solar. MCEJA is based on Maryland’s existing RPS system, making its adoption, implementation, and administration much easier than new structures and approaches that have been proposed, some of which may require years of work before being practically or politically feasible. Why Support the Maryland Clean Energy Jobs Act Now? Thanks to the rapidly declining cost of solar modules, the Maryland solar industry has quickly outpaced the existing and relatively small 2.5% solar carve-out of the Maryland RPS, which has resulted in a crash in SREC prices, declining in value from $150 in late 2015 to $20 in late 2016 to around $5 today. This has resulted in stalled growth of solar economic development and even job losses across the state.1 In fact, in 2017, Maryland was one of only two mid-Atlantic states (alongside West Virginia) to see a net loss of solar jobs! Without a significant expansion in the RPS and solar carve-out, the Maryland solar industry will continue to stagnate and decline. In fact, even if Maryland does not install a single new solar panel, the current amount of solar installed in the state will meet the existing tiny RPS solar carve-out demand through 2023! With a stalled solar industry, Maryland is at risk of failing to attract corporations that are seeking to locate and power large facilities such as data centers with in-state solar resources. Maryland risks losing a competitive advantage to Virginia, which continues to attract large employers and has seen investments in excess of $1 billion for new data centers that create local jobs and are powered by local solar farms in Virginia. 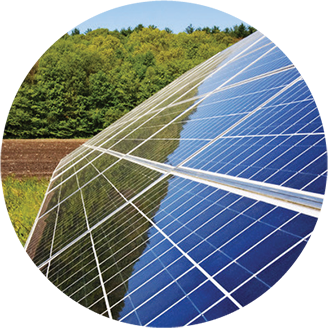 The Maryland Clean Energy Jobs Act updates RPS-driven solar demand to accommodate the addition of new solar generation capacity annually through the next decade, all while significantly capping the cost of compliance in order to minimize cost to rate-payers. Solar jobs and in-state investment are currently at-risk due to the industry outpacing the existing 2.5% solar carve-out of the Maryland RPS. Significant increases in solar demand beyond the current 2016 Clean Energy Jobs targets are required to preserve and expand Maryland's solar jobs and associated economic benefits. Federal tax policy currently provides a 30% Investment Tax Credit (ITC) which can result in substantial savings for Maryland ratepayers. But the full 30% ITC is significantly reduced between 2019 through 2021, stepping down from 30% for projects that start construction by Dec 31, 2019 to 10% for projects that start construction after Dec 31, 2021. Expanding the Maryland RPS immediately through 2019 passage of the Maryland Clean Energy Jobs Act can ensure that Maryland rate-payers maximize the full benefit of the 30% ITC. Delay will leave hundreds of millions of federal dollars on the table that could have benefited Maryland’s economy. 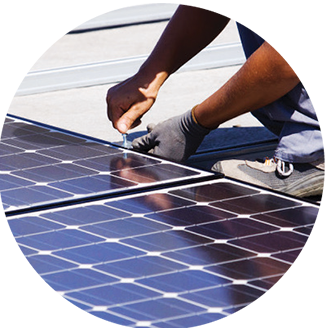 The Maryland Clean Energy Jobs Act would result in over 20,000 new full-time high-paying jobs in the Maryland solar industry (up from 5,400 through 2016). Unlike some industries, these jobs are distributed throughout the state, supporting a diverse workforce from the rural corners of Maryland to the state’s suburbs and inner-cities with a living wage that averages from $18 to $24/hour. Utility-scale solar projects currently under development in Maryland would pay millions of dollars in direct property tax revenues to local communities in just their first year of operations, much of it directly to rural county coffers, providing much needed funds for schools, roads, parks, and services for rural communities without the need for development of costly new services like sewer and water. In some rural counties tax revenues from utility-scale solar projects can actually allow county leaders to avoid increases to income tax rates that would otherwise be required to provide basic local services. Maryland continues to import 40% of its energy from out-of-state, mostly from coal and gas plants that are vulnerable to significant fuel price fluctuation. The majority of the new power generation called for under the Maryland Clean Energy Jobs Act comes from in-state generation, and MCEJA helps ensure that more of the power we continue import from out-of-state comes from renewable resources. Expanding the use of renewables, which require no fuel and have virtually no operating costs, also helps to lower volatility in power prices for Maryland’s residents and businesses. 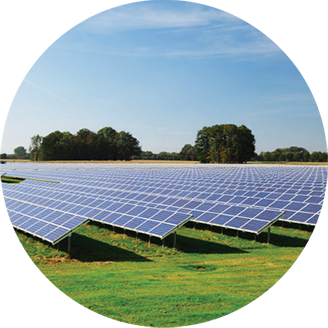 The Utility-Scale Solar Energy Coalition, or USSEC, is a coalition of solar companies actively investing in Maryland and developing utility-scale solar projects, or “solar farms,” across the state. The utility-scale solar segment of the Maryland solar market includes numerous projects under development across 20 Maryland counties, representing billions of dollars in potential capital investment across Maryland. The utility-scale solar projects currently under development in Maryland represent the potential for millions of dollars in direct property tax revenue to counties and local communities just in their first year of operation and each year thereafter.